Sweden is making a bold move to embrace renewable power. The country has plans to completely abandon all taxes on solar energy in 2017, which may help Sweden successfully reach its goal of becoming completely reliant on clean power by 2040. Solar energy has a long road ahead in Sweden, however, and the country may have to do more than abolish taxes on this form of clean power in order for it to become viable source of electricity. Currently, solar energy accounts for approximately 0.1% of the country’s electrical production. The majority of the country’s energy comes from hydropower and nuclear energy. Sweden has been looking to expand into new fields of renewable power in recent years, however, and solar energy is beginning to attract strong interest throughout the country. By removing taxes on solar energy, Sweden believes that the sector will experience a period of extremely rapid growth. 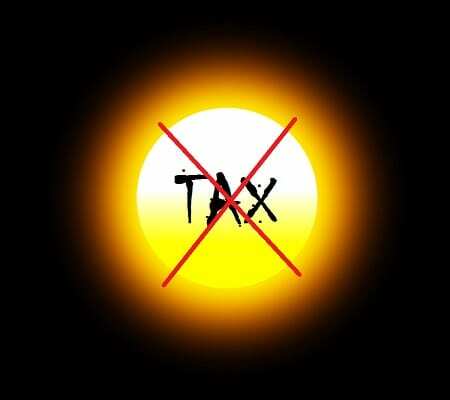 The plan to abolish solar energy taxes has received some opposition. Some government officials have criticized the current administration for being too lax on renewable energy initiatives. While removing taxes on solar energy is an ambitious move, more could be done to support the growth of the solar sector, according to some officials. The plan must also go through a potentially lengthy approval process, with the European Commission ultimately deciding the future of the plan and how it fits with the renewable energy initiatives throughout Europe. In order for Sweden to become completely reliant on renewable energy, its solar energy production must grow between 5% and 10%. Sweden is not often considered an ideal home for solar power, as the country receives less sunlight than its Southern neighbors. This may be a modest problem, however, due to advances being made in photovoltaic technology. Such advances have made it easier and more efficient for solar panels to collect sunlight and generate electricity, even in areas that do not receive abundant sunlight.